Garage door repair or service is one thing best left to the professionals due to the very real danger of serious personal injury. Overhead garage doors, whether they roll up in sections or swing up in one piece, operate on spring tension. The door moves on metal tracks on the garage walls, and a heavy spring or springs provide the power. A common repair is the replacement of the torsion springs, which are the devices that lift most of the weight of a garage door. The energy stored in the springs is sufficient, in an uncontrolled release, to break things, hurt you, or perhaps even kill you. Many manufacturers and distributors of torsion springs believe they are better off not retailing their product directly to the public as they feel the product is too dangerous and infrequently needed for the public to purchase directly. They say the job is hazardous and requires techniques and tools with which the amateur will rarely practice, which is true. Another reason for not making parts for garage door repair available to the public is, "if we sell springs to a do-it-yourselfer, and he gets hurt installing it, we could get sued." This is even more applicable for a roll-up door, which has a single torsion spring at the center of the door, as it has even greater spring tension. The most common grade of torsion springs have an expected life of about 10,000 cycles. The hardened and tempered steel experiences tremendous forces each time the door opens or closes. Gradually, the steel fatigues and eventually cracks and breaks. It then releases its stored energy in an instant with a horrific "sproing" noise, which is a loud noise that could only be described as a big spring snapping and vibrating, or a huge bang. You then know it’s time for a major garage door repair. If you average about two car trips per day, opening and closing the door a total of 4 times daily when you come and go, then that expected life becomes 2,500 days, or only about 7 years. If you have an automatic opener, you tend to cycle the door even more frequently, and you can expect the need for a garage door repair to replace the springs even sooner. Spring pairs should be replaced together, since the mate is likely to fail soon after the first, and any possible savings on parts isn't worth the extra money to have the service and repair done again. Since the springs are winding "up" when the door is closing, the fully closed position is the most stressful on the steel and thus the most likely position at the moment of failure. But if it occurs near the top-of-travel, it means that you suddenly have a large, increasing weight falling. This is the reason you should never be standing or walking under the door when it is opening or closing, especially if you do so manually instead of with an electric opener. When the springs are working correctly, the door appears nearly weightless, but it turns into a calamity when the springs suddenly fail. 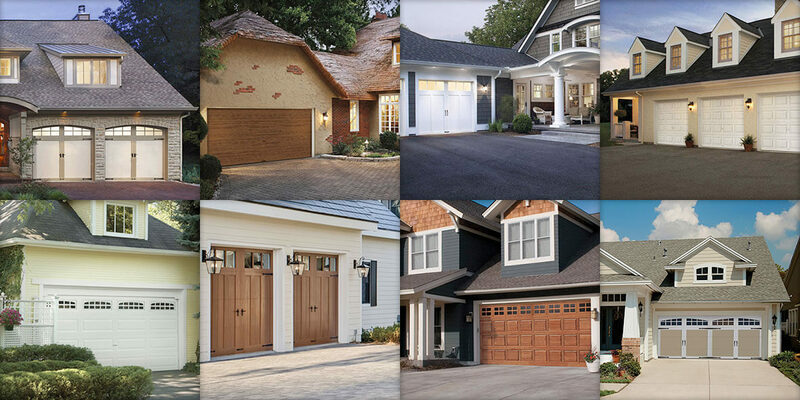 As part of your garage door repair, we will examine all moving parts and advise you of any current malfunction, and we will also let you know if there are any signs of potential problems that could arise with a particular component. With regular maintenance, you are more likely to avoid major repairs in the future. You should also periodically test the balance of your door. You should be able to lift the door smoothly and with little resistance. It should stay open around three or four feet above the floor. If it does not, it is out of adjustment. Have it adjusted by our qualified service personnel. Call us at (763) 383-6008 for any garage door repair. We provide garage door repair in Minneapolis, Eden Prairie, Chanhassen, Bloomington, Edina, Minnetonka, Plymouth, Maple Grove, Chaska, and Shakopee.